A romhack made for the A.N.T.I. Contest held on the forums late in 2015. I wasn't able to complete the hack in time for submissions, but finished it up anyway and it sat in the contest topic for over a year before I realized it hadn't been submitted to the main site. The hack is centered around four themes from the contest, but there's two that stick out: sparse amounts of pickups and expansions and a slightly changed health system. These two things in combination with the bosses chosen have made a few people struggle a bit. That said, this is a very small hack but challenge from the bosses may up play time and as such, makes me think this should be listed as a "veteran" hack. Very good graphics. Broken health bar but still gave it 5 stars because I enjoyed not dying. 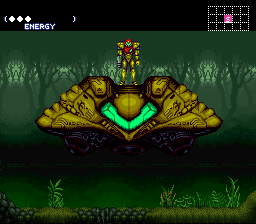 The first thing that caught me about this hack was screnshots of the landing area background. When I saw that I HAD to at least try this hack. Overall it was a pleasing quickplay experience. I liked that it was not a standard healthbar(points for thinking outside the box). I loved the envorinment and the mood of this hack. Its one of my favorites. 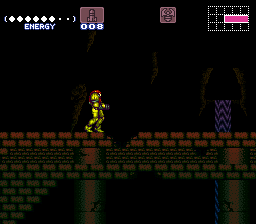 I did find the Ridley battle at the end a bit difficult. I guess I just need to get gud. Proper Item Collection display: 90.0%. Hack is great, man, great job! unfortunately the game is very short but fun. Very nice hack. 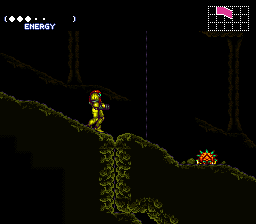 Early-on challenges are jarring, being late-game bosses (Fight Golden Torizo with no missiles and the Power Suit!?!) but once you actually fight them, you find that the difficulty has been adjusted accordingly. Not terribly hard to 100% either; though one item is really obscure.